If you are planning for your retirement or financial freedom, you probably start 2019 with a disturbing question after the stock market crash in December 2018. Should you continue to invest or quit? There is no shortage of information on the internet, you probably subscribe to many financial blogs or newspapers. But the information itself is useless, especially in the world of finance. Very often, overloading with information will lead to bad financial decisions. With this in mind, I decided to start 2019 differently. Since my day to day ritual is to study, understand and analyse the financial world, why not let me summarize it for you. This is my first post in 2019 about the 4 things you need to know to help you improve your financial situation. It started with a recent Facebook post which included a photograph of a letter from CPF. 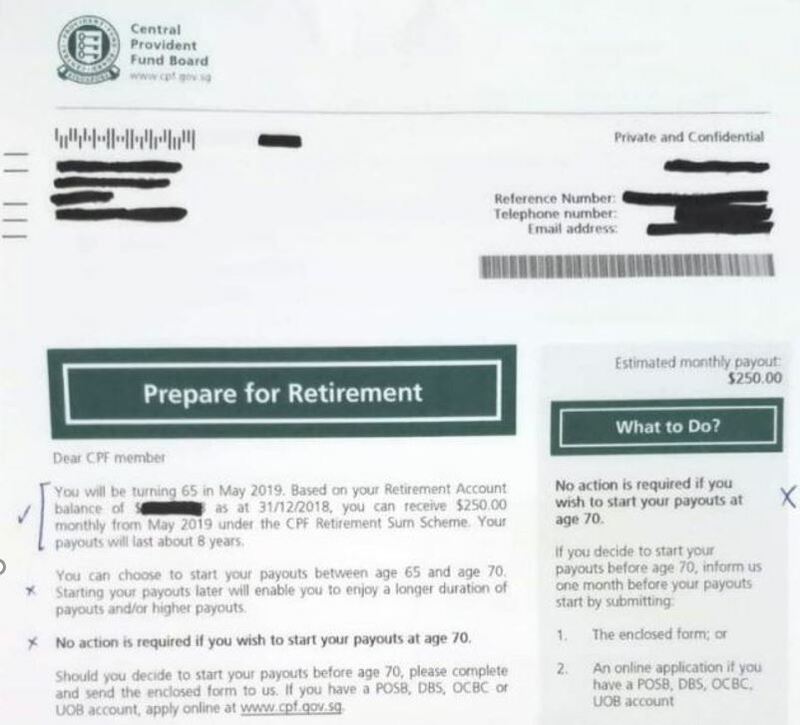 It says “no action is required if you wish to start your payouts at age 70”, and netizens “misinterpreted” it as the CPF raised the CPF Life payout age from age 65 to 70 and caused a public outcry. The truth is you can choose to start your monthly payouts at 65 or defer payouts anytime between 65 and 70. Age 70 is the latest that you can defer payout. Although the straits times quoted “there may be some who are illiterate or who may not understand how the current scheme works”, I beg to defer. Most clients I met, including many affluent individuals, still have vague or misunderstanding of CPF Life and Retirement Sum scheme. Firstly, it is an oversold concept (in my opinion) that CPF is the best place to earn a higher interest (many claims it is 4% which is not entirely true). A lot of people choose to top up CPF without budgeting and financial planning, and subsequently, claim that CPF locks their money. I suggest that before you consider topping up your CPF, take a look at this article to evaluate how CPF Life fits into your retirement planning. 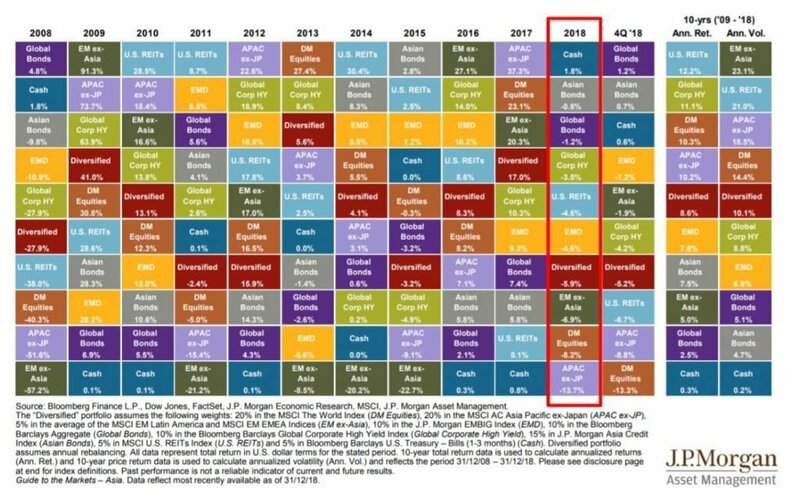 2018 is a year of loss for nearly all investment asset classes. The chart below from JP Morgan shows that the best investment for 2018 is to put your money in your bank’s fixed deposit account. There are a lot of talks that 2019 is going to be another bad year. And I am holding a lot of cash for the investment portfolio of my client’s and my own. But this doesn’t mean that I am afraid or think 2019 is a year of disaster. While most people focus on “which investment can make money in 2019”, I share a similar view of the manager of Blackrock’s Dynamic High Income Fund, Michael Fredericks. Only when you take care of your downside risk when the market is bad, you can stay on course when the market is good. Let me summarize some of the points that he shared in a Straits Times’s article about income investing. Multiple Income Source: Besides traditional dividend stocks or bonds, you need to adopt a global, multi-asset approach so you are not reliant on a single income source. Trust your own approach: There is no shortage of risks today that could make any investor, even a portfolio manager, toss and turn at night. It is important to develop a systematic approach and balance the competing trade-offs between income and risk. I talked a lot about Global Multi-Asset approach to generating sustainable income for retirement in my book “FIRE Your Retirement”. You can also find out more about my Global Income Portfolio. In my latest post of 5 outrageous market outlook for 2019. I talked about my bullish view on Gold price. And true enough, the gold rallied in the recent weeks despite stock market rebound. When I shared that with my clients, many gave it a yawn. That is not surprising given no media hype of gold (yet) and the recent report of gold scam from The Gold Label (TGL). It was reported that “2,000 investors of about S$150 million were cheated”. For those who don’t know, “Gold Guaranteed” scheme is not new. I already warned my readers not to touch it since 2010. So how to invest in Gold correctly? I found this article from MoneySmart which listed some good options of gold investment. I just want to briefly touch on this as many readers asked. 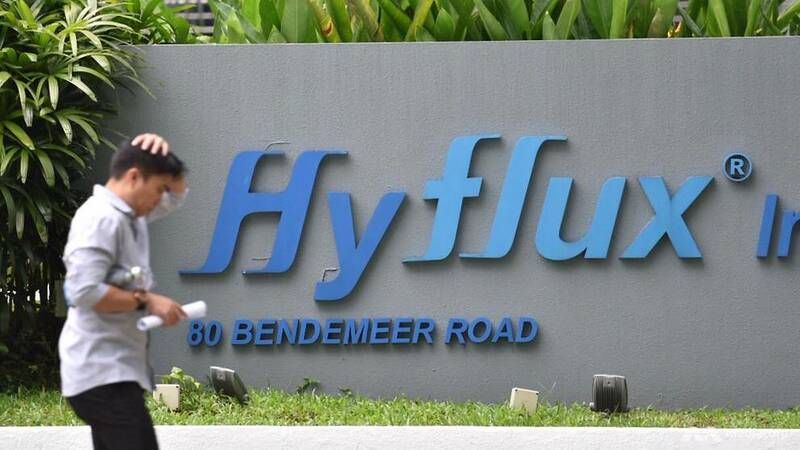 If you never heard of Hyflux Perpetual bond, it is good news for you (read this report from ChannelNewsAsia if you want to “Kaybo”). There are many people in Singapore wanting to invest for yield. Because their eagerness, the financial institutions often took advantage of them. Most investors only look at the headline “yield”, without understanding what they are getting into. I was never interested in perpetual securities/bonds in the first place. But after Genting’s $500 million perpetual securities were oversubscribed in 2012, I knew this was going too far. I wrote to my readers Perpetual bonds will be another Lehman Minibond case. If you have Hyflux bond, you can read the latest update from Aspire. To claim your money back, you need to submit proofs of claim to Hyflux. I hope the default of Swiber bond and Hyflux saga can be a wake-up call for income investors. In just two minutes every week, you can read an article like this to give you the most important message you need to hear to help you achieve your financial freedom. If you like it, simply leave your email below to subscribe for the weekly update. The post Invest for Retirement: How to Build Resiliency in Volatile Markets appeared first on SGMoneyMatters.